We craft awe-inspiring videos, customized for your business. Contact us today! Videos can be used to easily to convey a message to the general public. As a result, video production is an integral part of any successful marketing campaign. Hence, if you are planning on designing a well-rounded marketing campaign for your product, make sure to hire a professional video-making service to develop appealing videos for you. As a client, you always worry about who you can trust to perform such an important task for your business in the best possible manner? The answer is Seeklip , as we are one of the best video production company present today. We specialize in producing high-end videos that will completely meet your requirements. Also, our team is experienced in the field, and has all the skills that are required to combine innovation and creativity within a single video clip. 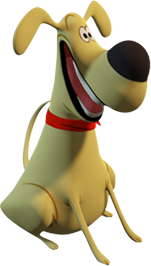 If you seek high quality video clips, then you will be offered the custom animated videos for business in high resolution. We always dispense original and well as conceptual content to the clients each time they place an order with us. Be sure of getting a customized content based on the product details mentioned by you to our project manager. The voice over in the animated videos for business provided will be appropriate as the per product’s specifications and requirements. All the corporate memos required, will be delivered through engaging as well as interesting custom animated scribing videos. We guarantee a prompt action on all the queries as well as on time delivery of the videos produced. By getting videos developed for your product, you will help your customers in understanding your mission and realizing the usefulness of your product in a practical scenario. This implies that you can easily boost your marketing campaign merely by promoting your business’s video.Being a skilled professional company in the field of video making, SeekClip.com has become a leading name in B2B corporate video production. We work on the principle of delivering high-quality solutions based on strong strategic approach and technical expertise. As a full-time video-making company, we offer a wide range of video production services; whether you want us to develop a corporate video for your upcoming business, or an animated one with a bit of sales pitch, our experts are always ready to do all that is required for you. Generally speaking, our diverse video production services sufficiently cover the following domains. Unlike other video production companies, we not only claim to make high-quality videos for you, but also prove it with the hard work, dedication and skillfulness of our team, which is proficient in developing all types of videos, including the following. This is made possible because our team consists of professional video makers, developers, marketers, writers, and editors who contribute wholeheartedly to every client’s project. They brainstorm over every idea, and come up with unique themes that are put into motion in the best possible way. Making videos is expensive as it involves the use of latest technology. Thus, a major hurdle with hiring most video making websites is their unusually high price range. However, with SeekClip.com, you do not have to worry about pricing, as we have a variety of packages for you to choose from. This is in addition to the fact that we have some of the best corporate video production rates. 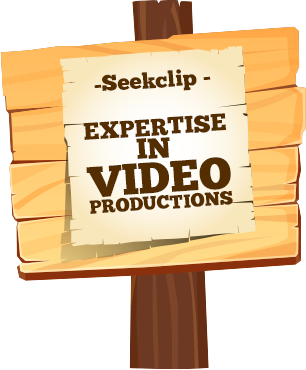 At SeekClip.com, you can easily get your desired promo video in a few easy steps. 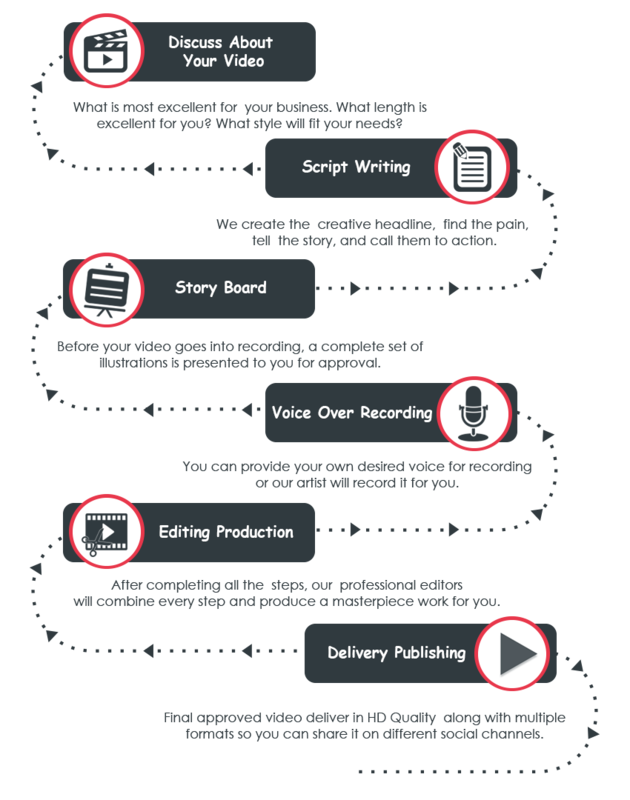 Here is how our promotional video production proceeds. In order to make sure that we develop a 100% desirable video, the first thing we do is discuss with the client. This is the point where you will tell us all that you expect from the video and we will share our suggestions as well. After requirements have been laid out, we start preparing a story for your business video. Our creative writing team writes the entire script, and plans out its delivery in such a way that it brings the story into action on screen. Once the script has been developed, the next step is to add various illustrations to it. We develop an entire storyboard containing the script and the illustrations, which is then sent for client’s approval. After preparing the storyboard, we then move on to adding voice and sound effects to the illustrations. At this step, either the client provides us with an appropriate voice recording for the video, or we produce it ourselves. Our video production experts go through a final editing process before completing the video. At this stage, all the prepared content, including the script, the animations, and the voice recordings, are combined. They are then scrutinized for any corrections/changes and the overall quality of the video is improved. Once the final evaluation has been done and the content has passed through all the scrutiny steps, the finalized video is delivered to you in HD quality. We deliver your video in multiple formats so that you may use the one that suits you the most. What’s better than to stay connected with a professional service that offers 24/7 customer support? Since we care about our clients’ satisfaction, we have a vigilant customer care service that is available round the clock to help you. This means that as soon as you reach out to us, our representatives will connect with you to answer all your queries regarding our promo video services.